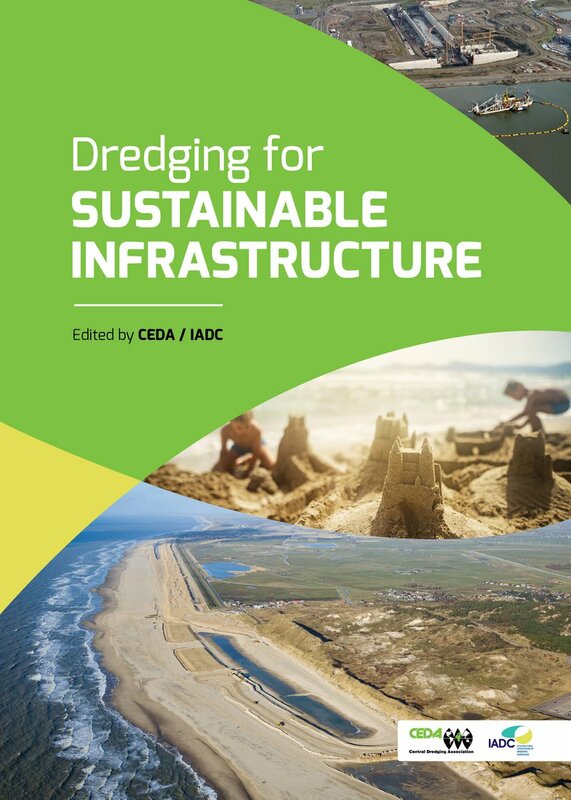 IADC and CEDA will be releasing the book “Dredging for Sustainable Infrastructure” at their upcoming conference with the same name at the location Beurs van Berlage in the heart of Amsterdam between 19th and 20th November. Resilient infrastructure is one of the core themes of the IAPH’s World Ports Sustainability Program. There are constant demands for wider and deeper berths at ports around the world, as well as mega projects such as the recent creation of second canals at Suez and Panama. With other, additional large-scale port infrastructure projects underway in developing contents such as Africa and the Indian Subcontinent, the book contains contributions from leading specialists in the field to serve as an authoritative guide to delivering dredging projects that enhance the natural and socio-economic systems. At the conference four key enablers included in the book will be discussed, including the evaluation of ecosystem benefits, stakeholder engagement, adaptive management of dredging projects and the beneficial use of dredged materials. The CEDA-IADC Conference aims to deal with the uncertainties relevant to the use of these key enablers in the development of sustainable solutions for water infrastructure. These include the nature of future conditions (e.g., social, economic, environmental), the social and institutional acceptability of innovative solutions, and those related to project progress, policy development, interdisciplinary collaboration and procurement. The International Association of Dredging Companies is a partner of the World Ports Sustainability Program. IADC stands for ‘International Association of Dredging Companies’ and is the global umbrella organisation for contractors in the private dredging industry. As such the IADC is dedicated to not only promoting the skills, integrity and reliability of its members, but also the dredging industry in general. IADC has over a hundred main and associated members. Together they represent the forefront of the dredging industry.